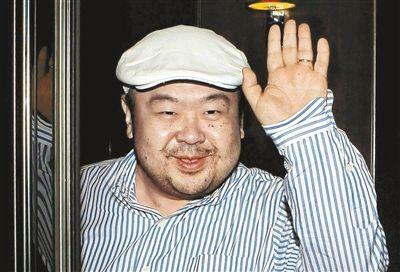 South Korean media say the half-brother of North Korean leader Kim Jong Un has been killed in Malaysia. A South Korean government official said that Kim Jong Nam was killed Monday, the Yonhap news agency reported. The official did not provide additional information. Two unidentified female agents reportedly used poisoned needles to kill Kim at Kuala Lumpur International Airport. The two then fled the area in a taxi. The women are believed to have been working for North Korea. South Korea's National Intelligence Service neither confirmed nor denied the story. Kim Jong Nam spent large amounts of time outside North Korea. He also had voiced disapproval of his family's control of the country. He and his younger brother, North Korean leader Kim Jong Un, are both sons of former North Korean leader Kim Jong Il. However, they had different mothers. The older brother was once considered to be the heir of his father and was expected to lead the country. However, Kim Jong Nam fell from favor with his father in 2001. That year, he attempted to enter Japan with a false passport, reportedly to visit Tokyo Disneyland. Since that time, he has lived mainly in the Chinese territory of Macau. Kim Jong Nam was believed to be close to his uncle, Joang Song Thaek. Joang was considered the second most powerful man in North Korea, but he was executed in 2013. Kim Jong Un reportedly ordered his execution. In previous years, Kim Jong Nam expressed disinterest in leading North Korea. "Personally, I am against third-generation succession," he told Japan's Asahi TV in 2010. Kim Jong Il died in December 2011, when Kim Jong Un took power. "I hope my younger brother will do his best for the sake of North Koreans' prosperous lives," he reportedly said. He is her half-brother by her father's first marriage. The announcement came in a bald statement from the official news agency. He knows the heir of Elendil has come forth. 1.That year, he attempted to enter Japan with a false passport, reportedly to visit Tokyo Disneyland. 2.Kim Jong Il died in December 2011, when Kim Jong Un took power. Deby who took power in a coup in1990.